How Much SEO Should I Implement? Google the word “Church” and you’ll find LDS.org in first place. Mormon.org comes in at #7. 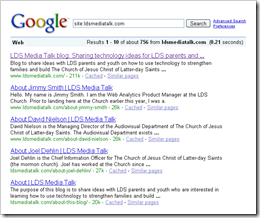 Google the phrase “Mormon Church” and you’ll find LDS.org #1, FamilySearch #2, and mormon.org #3.